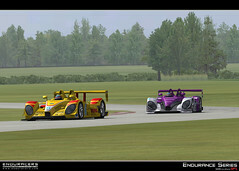 Please find below the first screenshots of the new Porsche RSSpyder Evo, first Endurance Series SP1 car unveiled. 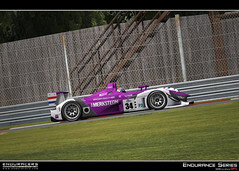 The screens features cars of Van Merksteijn Motorsport, Team Essex, Dyson Racing and Penske Motorsport. 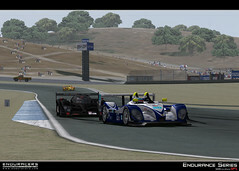 Look effing good Klo-che very good RS Spyder Evo iv seen this car race and i realy can't wait to drive it lol. I love the detail at the back with the carbonfiber swade and in the headlights so... when the pics of the R10 and the 908 HDI, not to mention my personal fav Acura? Ca sera pas difficile, j'aime pas les materiaux de cockpits de Forza 3, ca fait plastic à mort. 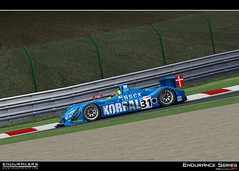 The Service Pack 1 is coming along nicely, looking forward to screenshots of the Peugeot 908.
any date for SP1? 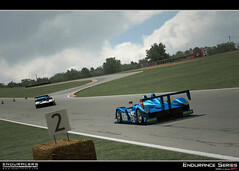 will we get it before GT5 comes out ?? Yes in my opinion the R15 Audi is the best looking Audi out of the Histry of Le mans cars, R8, R10. 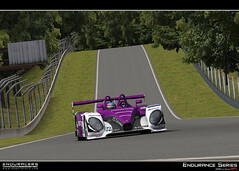 One day I hope Enduracers with create the Zytek O9s Becuase it not only looks amazing but the sound of that V8 is crazy, and I have been to see Le Mans Series this year at Silverstone with Mansel Driving and man it realy floats my boat lol. 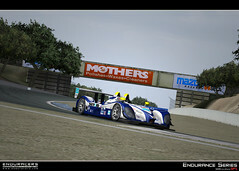 I live in Le Mans, I love the Peugeot and Pescarolo Peugeot 908. I also confirm that the Audi R15 is very beautiful. 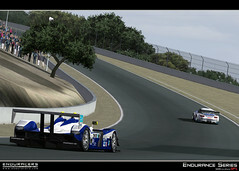 Enduracers us to make a mod that is typical race ALMS & LMS and 24h of Le Mans is a real pleasure to drive its cars. The v1 goes till 2008 cause when we were working on it 2009 seasons were not over, so not frozen. But the mod will cover more years, as you can see on the SP1 with several car in 2009 configuration. We've no information to provide about the r15 for the moment, as lot of other cars it's on the wishlist but we've already lot of other cars to work on. lol I am a big fan iv been to Le Mans Series 5 Times now and im 16 years old and some day i realy would like to go to Le Mans 24hrs with my mate how ever not to get pist lol cos we are real racing fans! And every time i listen to the comintator saying they are Underway i sh*t my self Here is a Few videos of Le Mans series witch i went to. the first video is the year 2008 and that year was by far the best. https://www.youtube.com/watch?v=Snp_4F68SK8 2008 this should help with the sounds Klo-che for the Rs Spyder and the Fessa, Audi and the 908 oh make sure you get the burble in the engine note's like in the Movie in beckets and maggots. 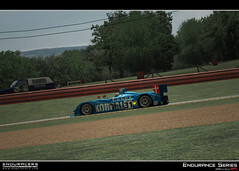 This mod never end, I hope that the conversion to rFactor 2 is easy and effective. 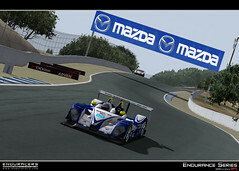 Ce mod s'arrêtera jamais, j'espère que la conversion vers rFactor 2 sera facile et efficace. Just a little video of the real car i found it may Help you alot peeps. Lucky little..... good for you. I am not suprised my friend has got Lewis Hamiltons signiture because his dad worked for one of his sponcers. I have been in a DBR9 before in the FIA GT Championship at gess where anyway back on topic. looking forward to the nexty car you guys are working on. keep up the good work in my mind i know u will never do a rubish job. I only have one question dose it sound good? Would I see audi r15, the courage lc70, lc75 and the various spec of pescarolo on this mod? yeah? i love all thier cars.